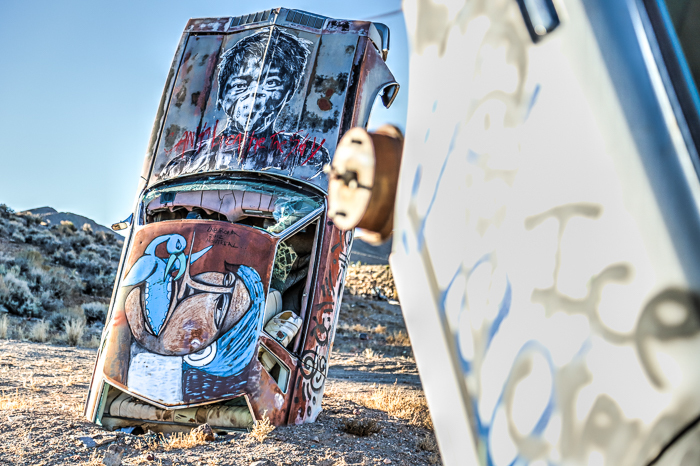 Goldfield, Nevada’s The International Car Forest of the Last Church is an unusual installation in the open air of the Mojave Desert created following one person’s hopes of setting the record for the most upended automobiles used in an art piece. 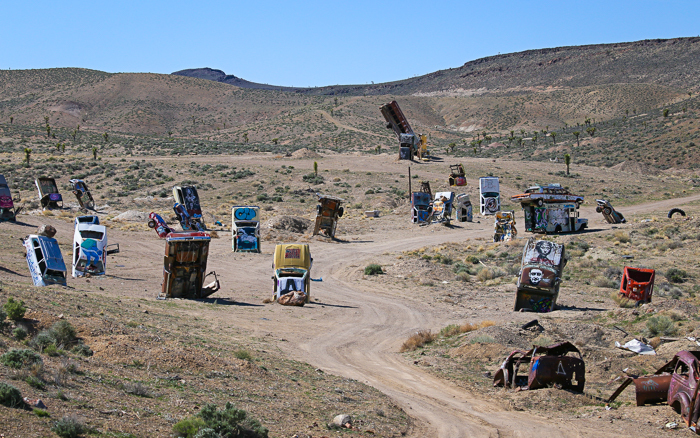 On the outskirts of the mining town of Goldfield, Nevada – a population of only a couple hundred people in a town without even a gas station on Nevada’s Highway 95 – is an installation that is part outsider art and part surreal junkyard called The International Car Forest of the Last Church. 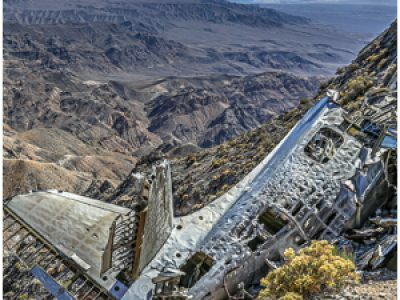 Though no signs will direct you there, and nothing will explain the history or motivations behind it even after you arrive, the sprawling collection of vehicles – cars, limos, busses, and delivery trucks – rise upended down a few double track dirt roads near Goldfield’s southern end. 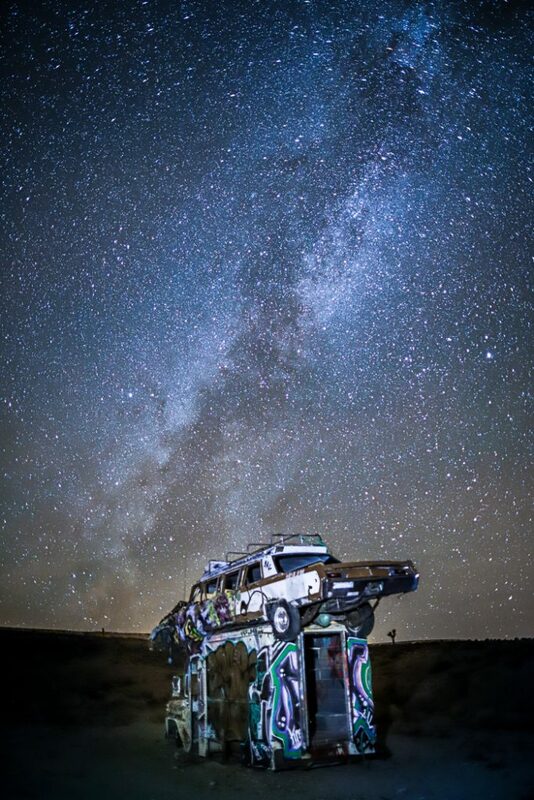 9 years in the making (2002-2011), the project was the vision of a Goldfield local named Mark Rippie who wanted to earn a place in the Guinness Book of World Records for the most cars stacked into the ground – theoretically challenging Nebraska’s Car Henge, and Texas’ Cadillac Ranch monuments. In reality, however, there is no such listing in the record book. 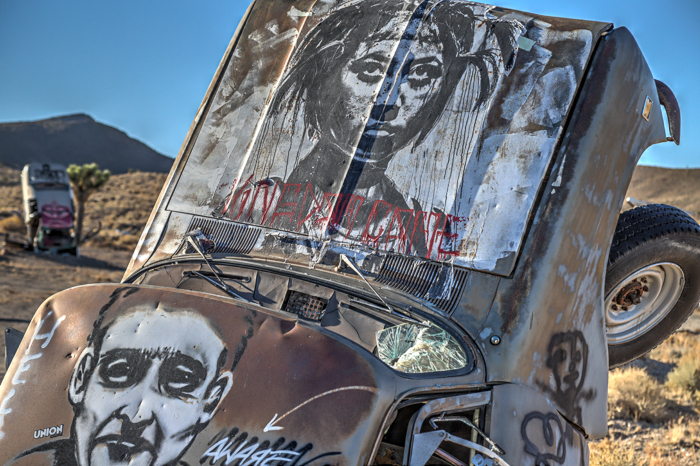 Rippie was joined by an artist from Reno, Nevada named Chad Sorg, who became interested in the project while driving through Goldfield and meeting Rippie. Sorg, significantly younger than Rippie, sought to contribute his physical abilities to the construction of the ‘forest’, and relocated to Goldfield. Over three dozen vehicles sit, or stand rather, scattered throughout the property. 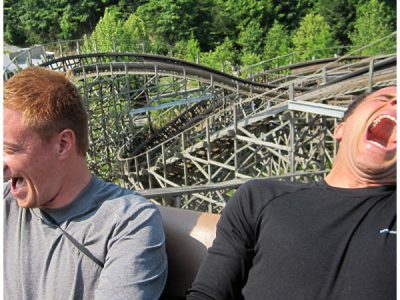 Since its completion, the two original creators had a falling out, with Sorg ultimately leaving Goldfield and Rippie eventually ending up incarcerated on gun charges. 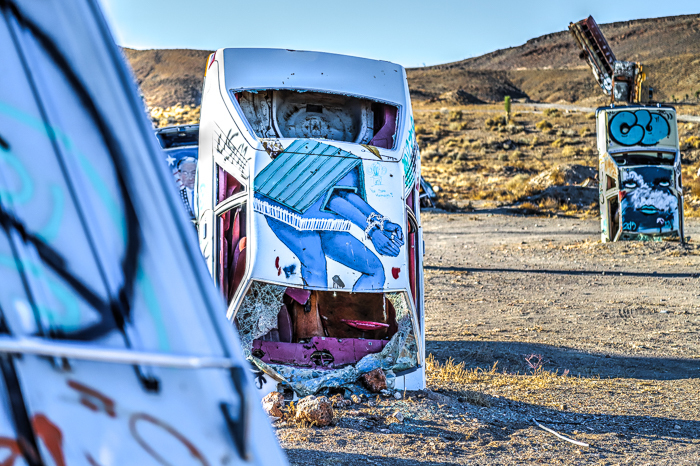 Despite its essential abandonment, the Car Forest remains on the private parcel, having since been visited by travelers and other artists of widely varying abilities who have used the auto carcasses as their own canvas. Beneath rural dark desert skies and through year in and year out of sunny dry days, the Car Forest remains in a slow state of decay, likely seeing more visitation from local feral burro populations than from the sporadic visitors stopping on their drive across the state. The International Car Forest sits on private property, accessed by dirt roads. 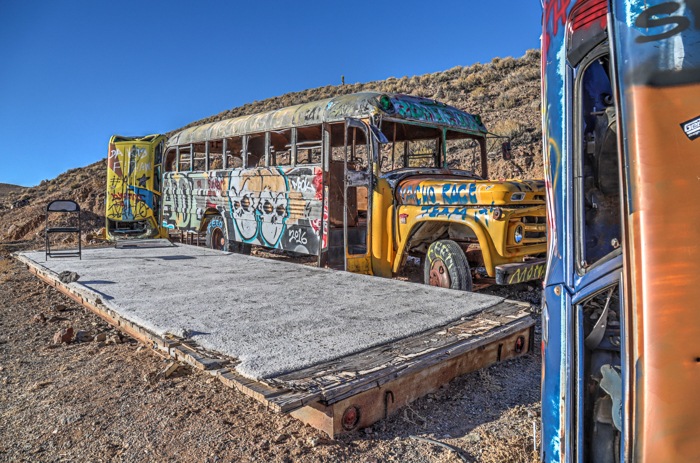 The car forest contains around three dozen cars, busses, delivery trucks and limos – most, including the busses, are buried nose-first in the ground. 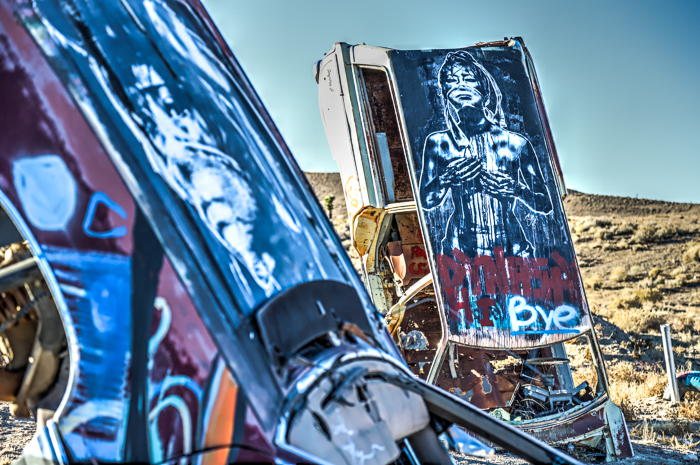 Many of the cars were painted by the creators of the installation, however over time other graffiti artists and visitors have put layers of paint and new pieces onto varying parts of the cars. 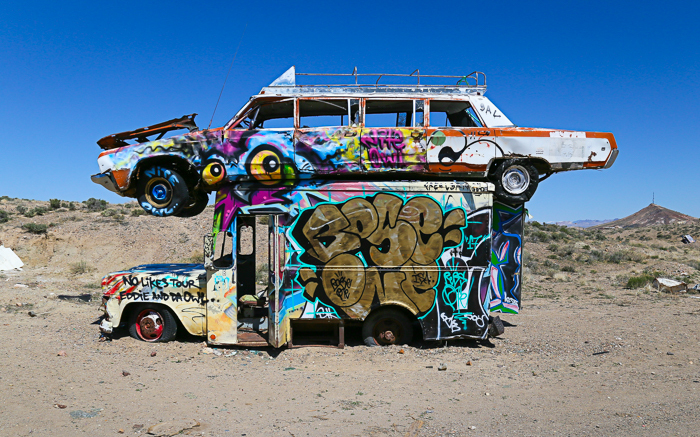 Created by a single local, Mark Rippie, who owned the land, and artist, Chad Sorg, who relocated to the town for the purpose of helping Rippie bring his vision into fruition, and Car Forest has been left to weather in the outskirts of the Mojave Desert town. 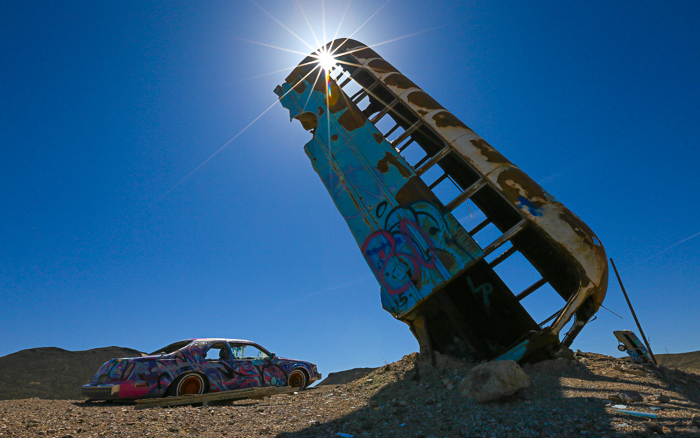 Essentially abandoned by the two creators, and with no upkeep from the town, the Car Forest is left to the devices of visitors; however, its remote location along Highway 95 in the central part of Nevada ensures that the area receives few visitors. I’ve yet to see a single other person here on the numerous times I’ve visited the site. 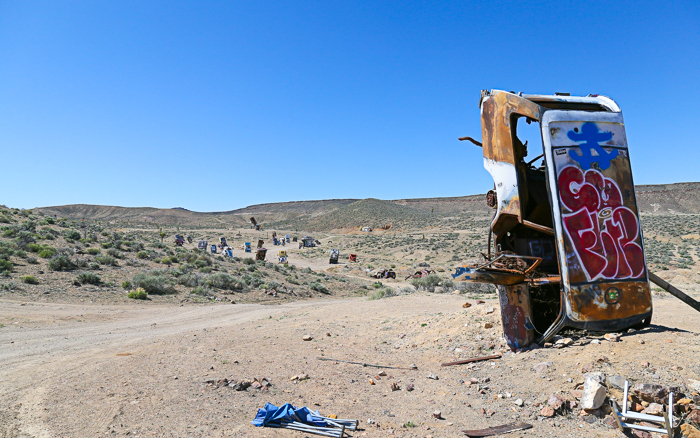 Locals have mixed feelings about the site, as some feel it contributes to the quirkiness of the old mining town while others feel it detracts from the historical town that lost many of its buildings to fire years ago. 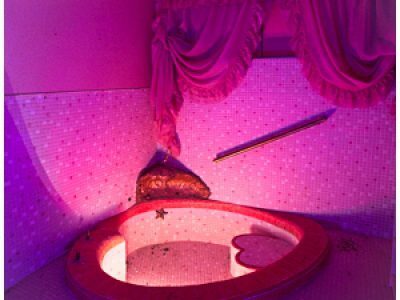 Currently only a few historical buildings remain – the more significant ones have been closed to the public for years though a couple are usually in varying states of restoration attempts with the aim to eventually reopen them. 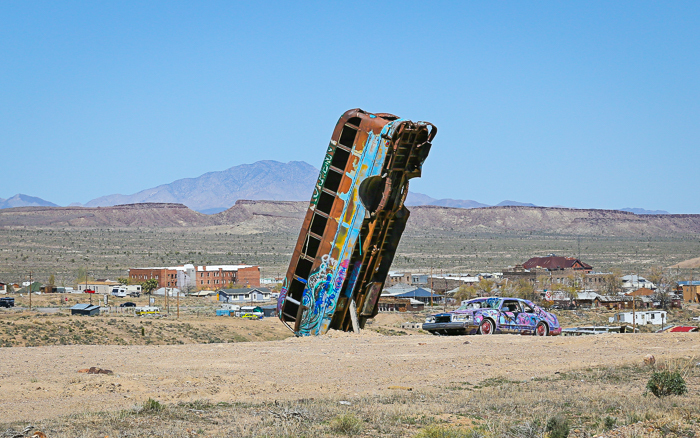 A view of one of the Car Forest’s upturned busses with the historical old mining town of Goldfield in the background. 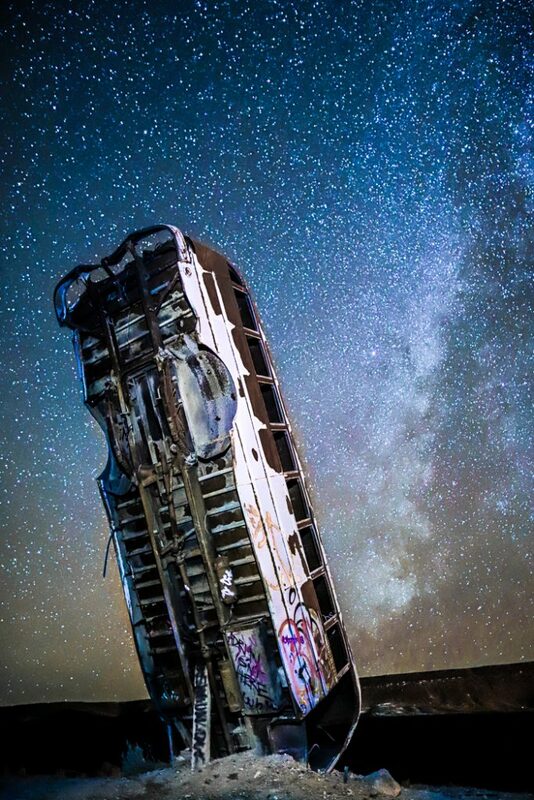 Night at the International Car Forest can bring some of rural Nevada’s dark clear skies. 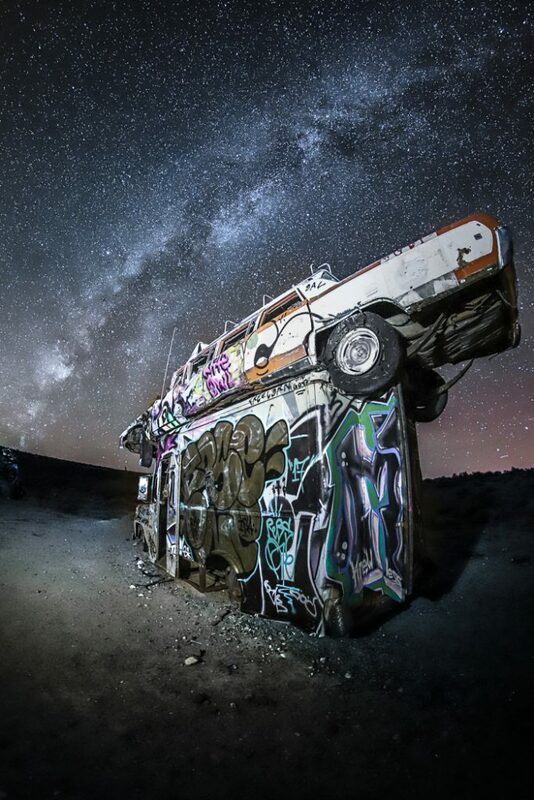 The Milky Way hovers over two stacked cars at the Car Forest. Night brings a different dimension of creaking metal parts hanging and blowing in the Mojave Desert winds.